We’re excited to announce we are now offering our award-winning, 100% ENERGY STAR® certified homes in Trailmark, the new St. Augustine neighborhood. 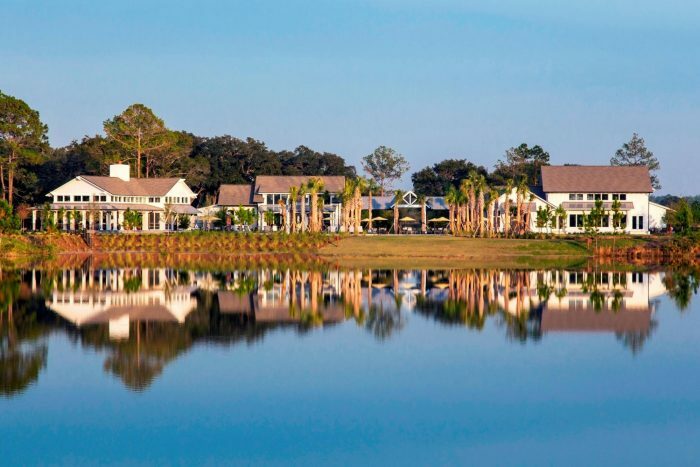 This beautiful, new master-planned community is conveniently located just west of the World Golf Village and I-95, and a half-mile away from the brand new Picolata Crossing Elementary School. Trailmark offers an impressive amenity center and swimming pool in a family-friendly atmosphere with plenty of exciting and entertaining events throughout the year. In fact, on October 21st, Trailmark hosted a Fall Festival that drew more than 1000 people. The event featured a rock wall, pumpkin patch, farmers market, hot-air balloon rides and local food trucks. Events like these will be offered to residents and the surrounding community often in Trailmark. With homes starting in the $210s, we’re featuring 5 floor plans ranging from 1,593 – 2,524 square feet to compliment your lifestyle. Our award-winning Juniper Model Home is a spacious 100% ENERGY STAR® certified two-story home with 3 bedrooms, 2.5 baths and 2,524 square feet. The 1st floor features Living, Dining, Family Room and Gourmet Kitchen/Café w/ Bay Window, Covered Patio and 2-Car Garage along with a must see upstairs private family loft and Optional Extended Owners Suite! Like all ENERGY STAR® Providence Homes, the Juniper Model is built with a conditioned attic system that features air-tight foam insulation under the roof deck. This innovative building practice keeps the attic within 6 to 8 degrees of the indoor temperature year-round, providing you with a cleaner, healthier, more energy-efficient home. Our attics are so cool even a chocolate bunny won’t melt, and we should know…we’ve tested it! Stop by any of our Model Homes at Trailmark today to see this impressive new community and to learn how Providence Homes cooler attics, and a chocolate bunny, can save you money.